Whether in the form of autonomous vehicles, home assistants or disaster rescue units, robotic systems of the future will need to be able to operate safely and effectively in human-centric environments. In contrast to to their industrial counterparts, they will require a very high level of perceptual awareness of the world around them, and to adapt to continuous changes in both their goals and their environment. Machine learning is a natural answer to both the problems of perception and generalization to unseen environments, and with the recent rapid progress in computer vision and learning capabilities, applying these new technologies to the field of robotics is becoming a very central research question. 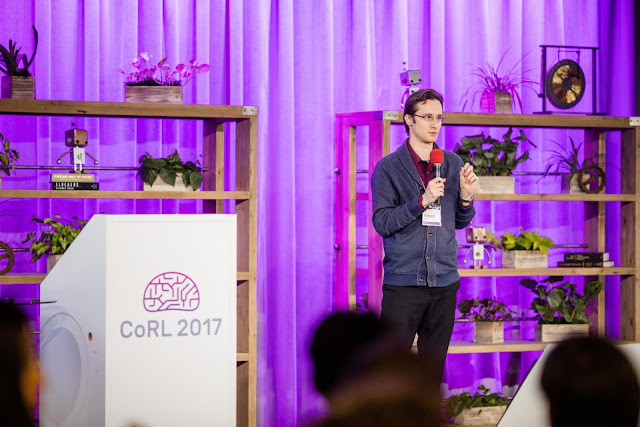 This past November, Google helped kickstart and host the first Conference on Robot Learning (CoRL) at our campus in Mountain View. The goal of CoRL was to bring machine learning and robotics experts together for the first time in a single-track conference, in order to foster new research avenues between the two disciplines. The sold-out conference attracted 350 researchers from many institutions worldwide, who collectively presented 74 original papers, along with 5 keynotes by some of the most innovative researchers in the field. Prof. Sergey Levine, CoRL 2017 co-chair, answering audience questions. 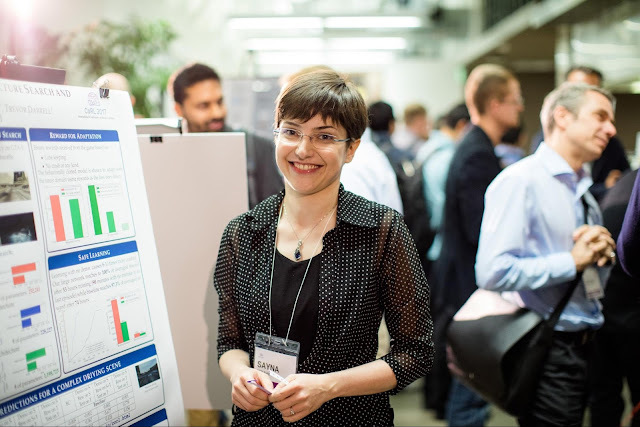 Sayna Ebrahimi (UC Berkeley) presenting her research. Videos of the inaugural CoRL are available on the conference website. Additionally, we are delighted to announce that next year, CoRL moves to Europe! CoRL 2018 will be chaired by Professor Aude Billard from the École Polytechnique Fédérale de Lausanne, and will tentatively be held in the Eidgenössische Technische Hochschule (ETH) in Zürich on October 29th-31st, 2018. Looking forward to seeing you there! 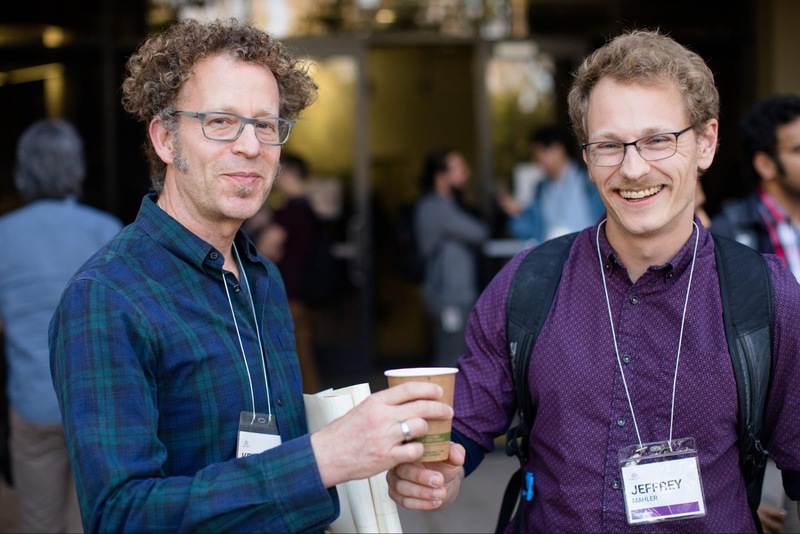 Prof. Ken Goldberg, CoRL 2017 co-chair, and Jeffrey Mahler (UC Berkeley) during a break.